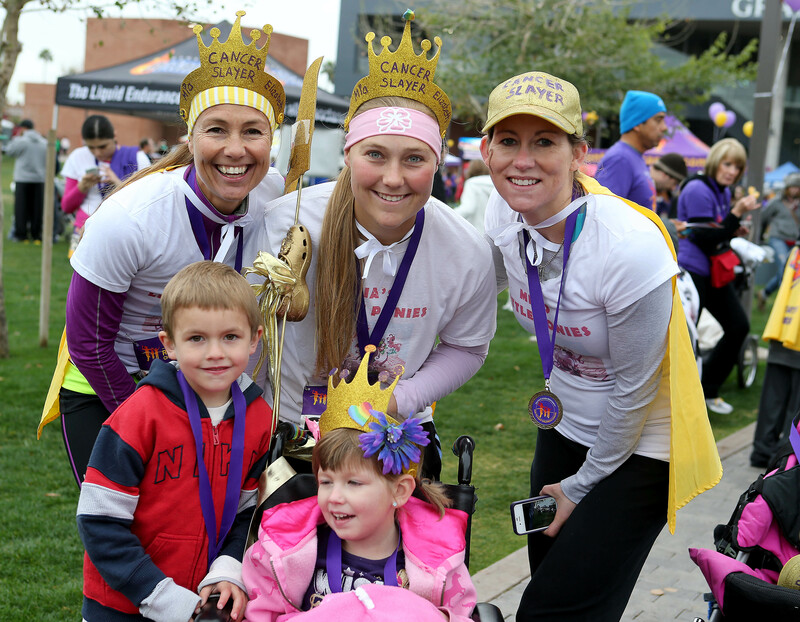 A new twist on spreading community awareness of childhood cancer and ways to help young patients and their families is a distinguishing feature of the fourth Grand Canyon University Foundation Run to Fight Children’s Cancer. Saturday morning’s event includes a 5K (3.1-mile) run/walk at 7:30, a 10K run at 7:50 and a Cancer Survivors’ Walk at 8:45, all of which will be held on and around the campus of GCU at 3300 W. Camelback Road in Phoenix. To register, visit www.runtofightcancer.com. Sussely Morales, GCU’s community outreach manager and race director, said she expects 3,000 people to participate. The goal is to raise $100,000 for Phoenix Children’s Hospital and Children’s Cancer Network, which would bring the total raised since the October 2011 inaugural run to nearly $300,000. PCH is the largest pediatric cancer program in Arizona and a leading participant in childhood cancer research, and CCN helps Arizona families battling childhood cancer with financial, educational and psychosocial support. A new dimension of the run will enable GCU to communicate with participants via texting and, for those who can’t attend the run, contribute to the charities anyway, Morales said (text FIGHTCANCER to 41444). Morales said the run’s sponsors have been generous, among them presenting sponsor Pono Construction of Glendale, a supporter since the first run, which together with some of its subcontractors raised $17,500 last year; Safeway, the run’s first grocery sponsor, which is allowing registration in its stores and is donating water and food; and CBS Outdoor, which donated 10 billboards. Morales encouraged those wanting to park in the GCU garage or campus surface lots to arrive between 6 and 7 a.m., as spaces will fill quickly. Street closures will begin at 7. A free shuttle bus will run about every 15 minutes from the GCU complex at 27th Avenue and Camelback Road to the main campus and back again. Amelia Crane of Mesa will be among the cancer survivors at the run. She wants to raise money to support Camp Rainbow, PCH’s summer camp for children with cancer or who have had cancer. Diagnosed at age 3 with Acute Lymphoblastic Leukemia, Crane underwent chemotherapy and radiation and multiple spinal taps for nearly three years. She remembers being isolated from others by well-meaning family members, and feeling sick all the time. By the time she was 6, her hair had started to grow back, and she began kindergarten. But Crane’s treatment made concentration difficult, and no matter how hard she worked in school, she struggled and always felt different from other children. 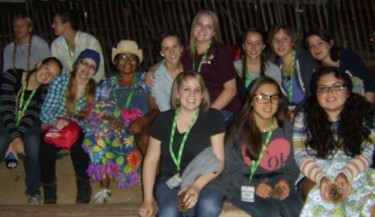 Attending Camp Rainbow as a child, and being a counselor there for the first time last summer, changed that. CCN, led by Patti Luttrell, an adjunct faculty member in GCU’s College of Nursing and Health Care Professions, is known for providing financial assistance, promoting education, building self-esteem and creating awareness to help children and families deal with their stressful, uncertain cancer journeys. Earlier this year, in part due to GCU’s support, CCN stepped into the research arena, making a four-year, $100,000 commitment to PCH’s new Ronald A. Matricaria Institute of Molecular Medicine. There, scientists are delving into the structure of cancer cells to develop more targeted, less debilitating therapies for children. Morales said GCU is honored to be affiliated with the two charities.